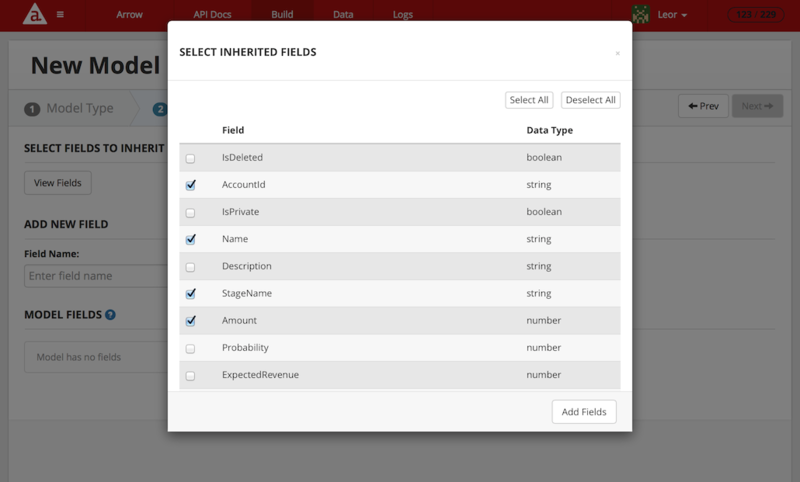 One main feature of Appcelerator Arrow is the ability to create mobile-optimized APIs without writing any code. This reduces the burden on IT to create mobile-specific versions of back end web services, while at the same time providing a means for mobile developers to easily expose data in a format that is tailored specifically for the app at hand. 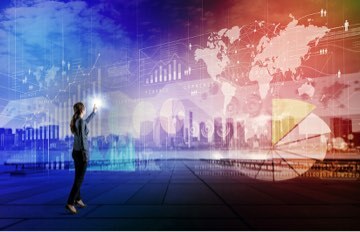 This results in an app that is highly performant since data reduction, orchestration and aggregation do not need to be performed within the app itself. 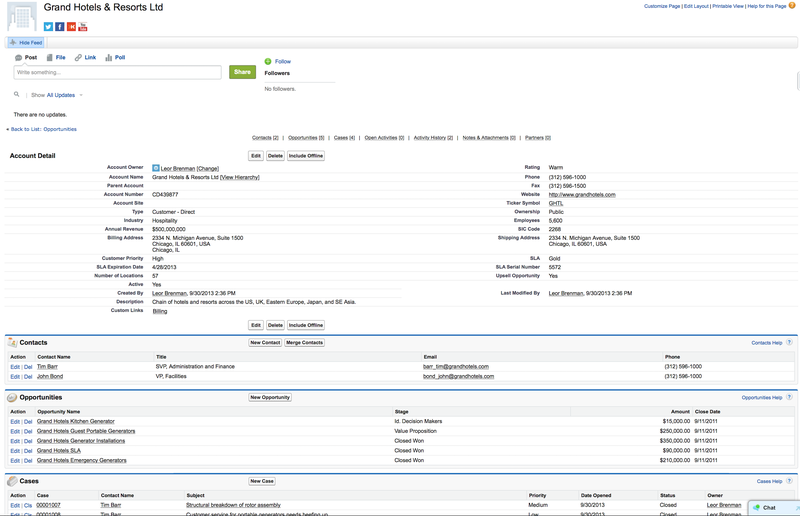 This blog post will describe how to use Arrow’s Salesforce and Composite connectors to retrieve data from Salesforce in a fashion optimal for mobile. 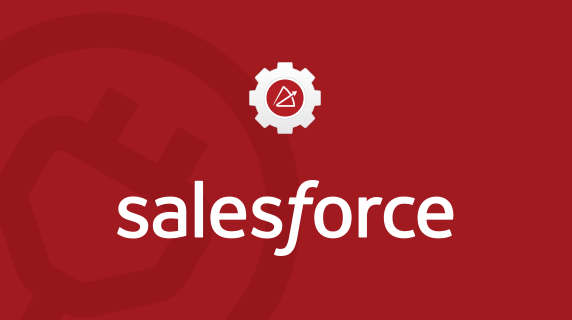 Without Arrow, the mobile developer would need to study the Salesforce Search and Query Language (SOQL and SOSL) to retrieve Salesforce data via web service calls on the device (http://www.salesforce.com/us/developer/docs/soql_sosl/). This is where Arrow really shines. 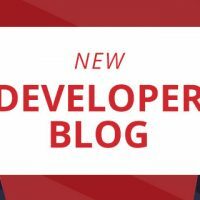 Regardless of which approach you decide to take for data retrieval, described above, Arrow Builder makes it very easy to create these mobile-optimized APIs without needed to learn SOQL and SOSL or write any code. In this example, we will implement Approach B. 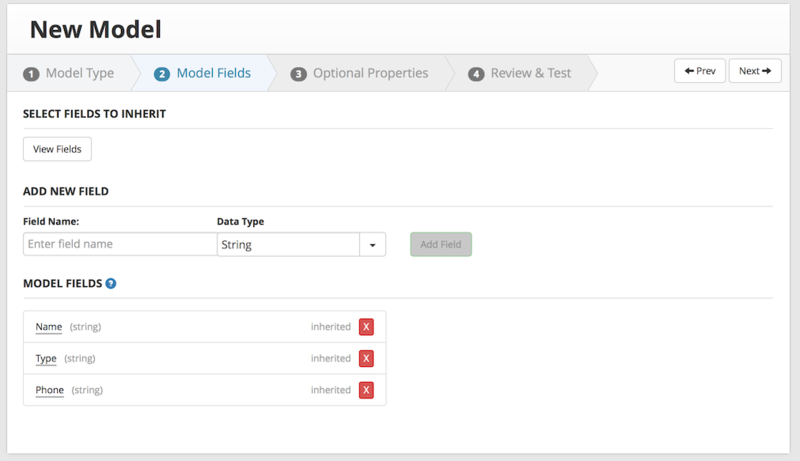 You will now be in the Arrow Admin which provides the means to create models and APIs as well as test out your API. Click on Build and create a new model called AccountMaster. 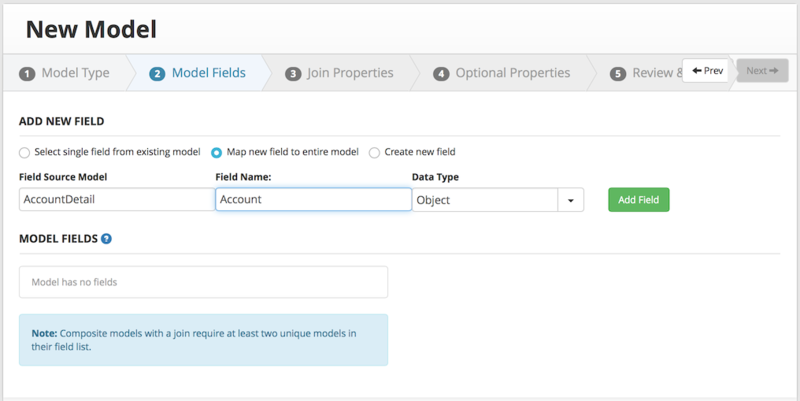 We will be reducing the default Salesforce Account model which exposes all of the Account fields. On the next screen (Optional Properties) click on Next. On the next screen press the Save Model button. 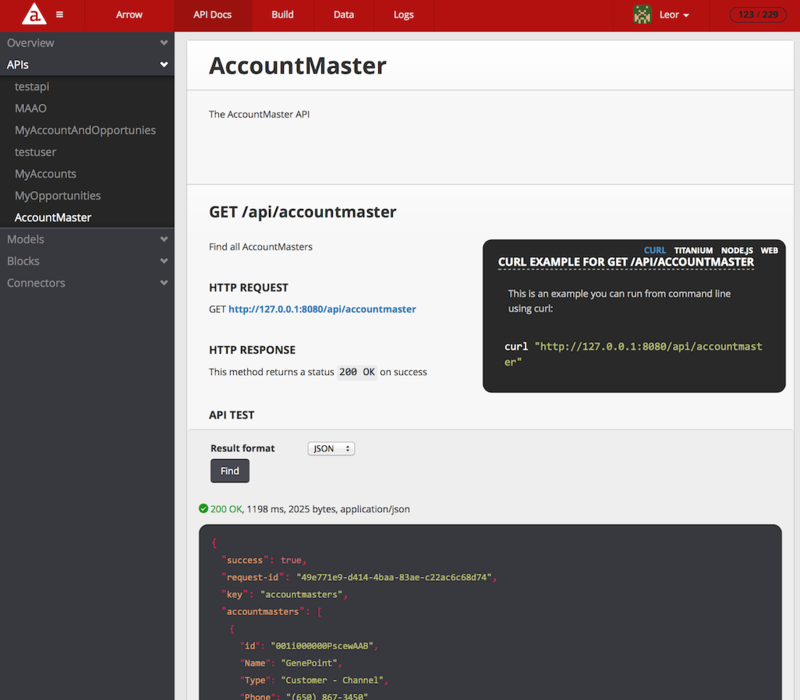 You will be automatically taken the API Docs tab for your newly created APIs where you will see all of the APIs that were automatically created for your new Model, AccountMaster. 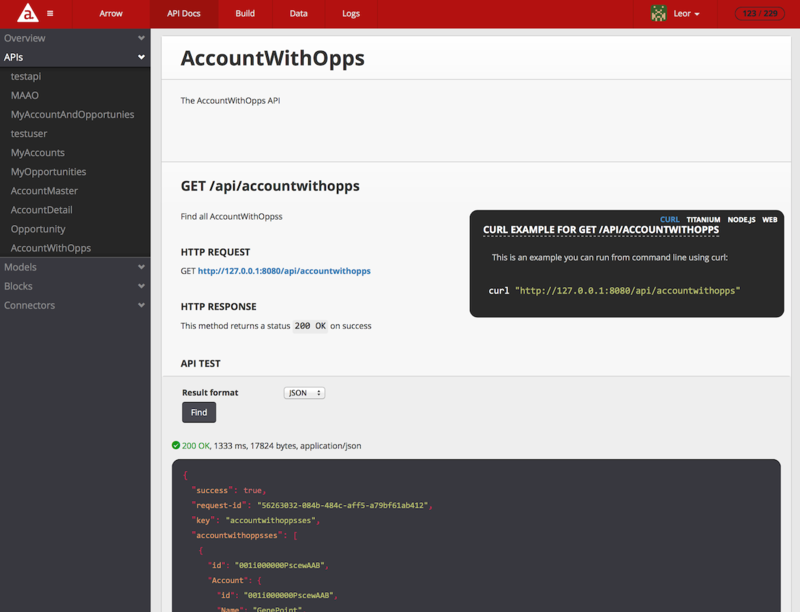 On this screen you can also test out your APIs. "Name": "Test from Mobile - Leor"
As you can see above, we are also getting an id field which corresponds to the Account Id. 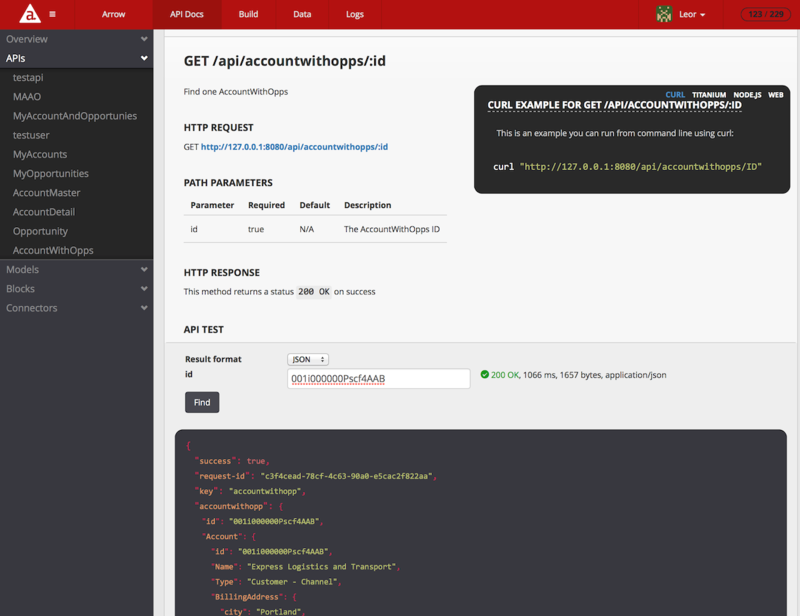 This will be used for the call to retrieve the Account Details and Opportunity API, which we will create next. 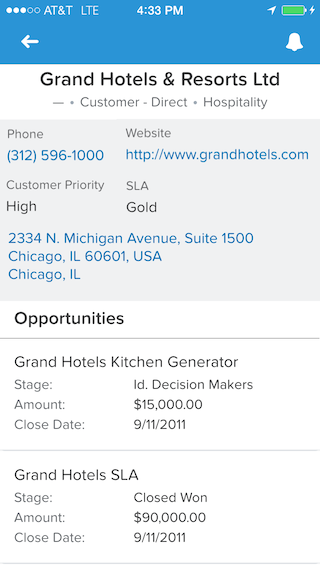 Create an Opportunity Model as we did above with the Name, Stage, Amount and Close Date fields. 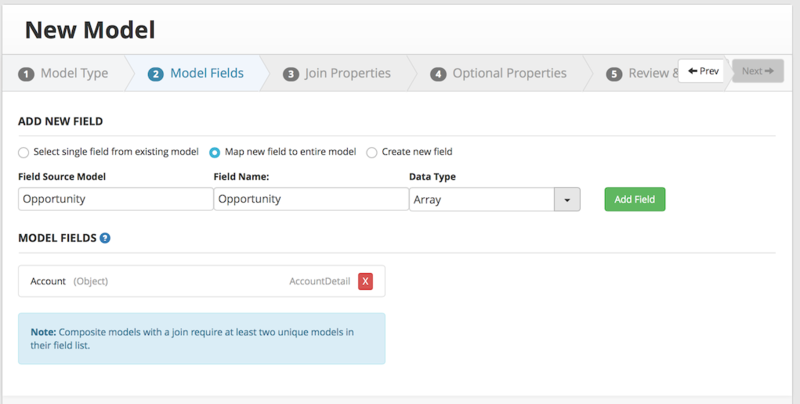 We will need to add one more field to the Opportunity model, AccountId, in order to only retrieve the opportunities for a given Account. Click Next. 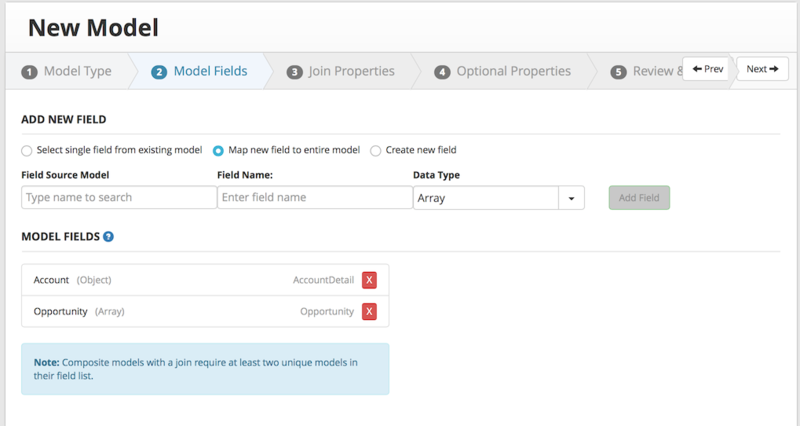 In the Model Fields screen, select “Map new field to entire model” and add the AccountDetail as the Source Model and name the field “Account”. Data type is Object. Press Add Field. Now add the Opportunity as the next Field Source Model, name the Field “Opportunity” and Data Type is Array since we want to retrieve all opportunities for a given Account. Now, we need to fill in the Join Properties. 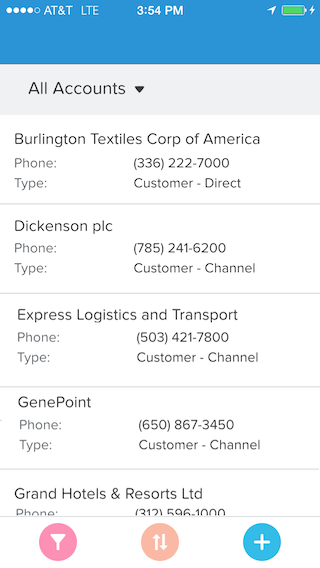 Enter AccountDetail as the Parent Model. 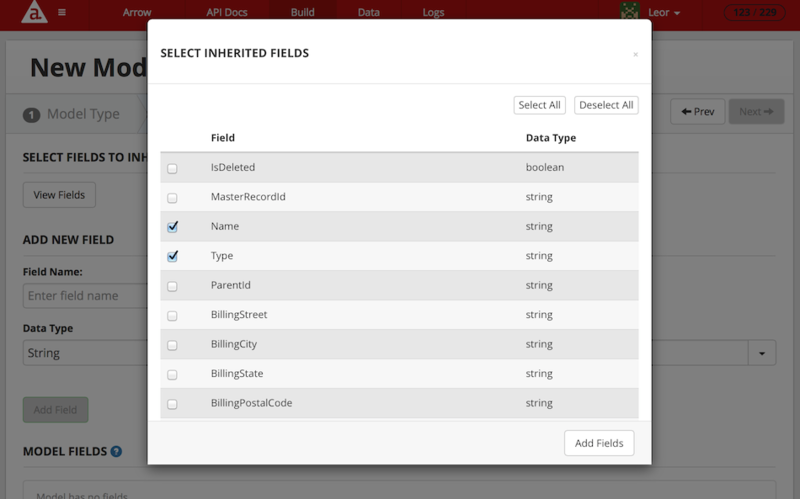 Select id as the Join Field and Outer join as the Join Type. Enter Opportunity as the Child Model and select AccountId as the Join Property and press the Add Join button. Click Next and Next again and Save Model. "street": "620 SW 5th Avenue Suite 400\nPortland, Oregon 97204\nUnited States"
In the reply above, you see the AccountDetail information along with an array of Opportunities related to that account. Go ahead and publish your application using the “appc publish” command and start building mobile apps. 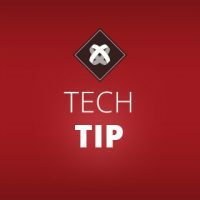 Now you have mobile-optimized APIs that can be used in your Appcelerator app, web app and with any client that can consume REST APIs. 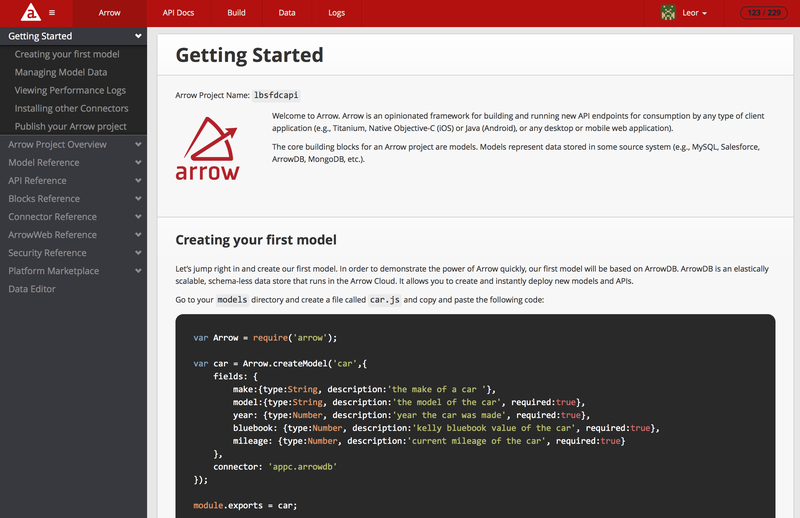 In this example, we saw how Arrow can enable mobile app developers to create highly specific and mobile-optimized APIs for a variety of data architectures without writing a single line of code. 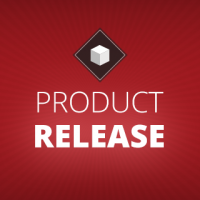 The composite connector enabled us to create an API that returned Account and Opportunity data in one API. This will results in a highly performant app since we are retrieving the data exactly how we need it in the app.